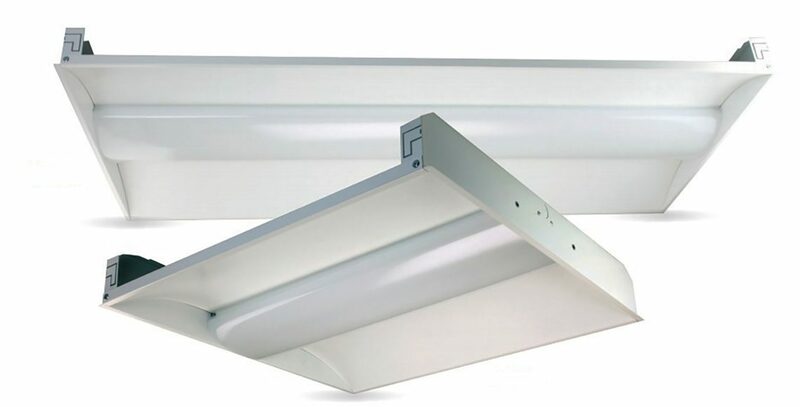 The CBLED provides a stylish modern design ideal for office and interior commercial applications. Utilizing a clear, prismatic polycarbonate diffuser prevents direct eye contact to the LED modules. The edge design provides easy installation, mounting into standard 1” and 9/16” tee bars or screw slot grids. Two sizes are available with multiple lumen outputs. Aluminum frame with polycarbonate diffuser. Universal driver, 0-10V, compatible with common dimming systems. Unique composition provides a prismatic look. Specifically formulated, frosted, prismatic acrylic lens provides a diffused luminance with the effective combination of excellent light transmission and haze. Matte white, high reflectivity powdercoat finish. All units bear UL label and are DLC listed.